As I enter the winter of my life—or the autumn, depending on how things go—I am starting to wonder what I have missed. A few years ago, Hot Rod published a clever article: a bucket list for car enthusiasts. To be honest, I wish we had thought of that idea first. Their list of a hundred items obviously catered to their market, but I can say that I have done about two-thirds of them. While I have never been to the Woodward Dream Cruise, I have attended a NASCAR race, the Monterey historic activities, and even the Goodwood Festival of Speed. 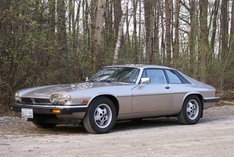 However, that list constantly reminds me of things that I still need to see and do—mostly related to cars, but a few that aren’t. I would like to travel up the Intracoastal Waterway by boat, for example. It passes within 100 feet of our Florida office, and theoretically I could follow it to the Big Apple. I’d also like to visit Asia. I have been invited to the Tokyo Auto Salon a few times, but that trendsetting trade show takes place each January and I’d rather not visit during the winter months. I would also like to keep my wife truly happy. Believe it or not, while she understands and tolerates both my professional life and inner insanity, she would really like it if, just once, I wasn’t plotting the next car purchase or trip I needed or wanted to take. However, as I spend about 99 percent of my time thinking about cars, there are a few car things that I still need to accomplish. Up until recently, buying another Shelby Mustang was at the top of the list. I started this whole car magazine thing nearly 30 years ago with some money I had saved from selling my ’66 Shelby Mustang. While that $7000 seemed like a lot of money then, it wouldn’t buy a set of wheels for a Shelby now. Still, no matter how much these cars cost, I have wanted another one. I have been on the hunt for some time and recently bagged a barn-find ’67 GT350. There’s a sneak peek in the back of this issue. I have never been to Bonneville and would like to go. The same could be said for the Pikes Peak International Hill Climb. 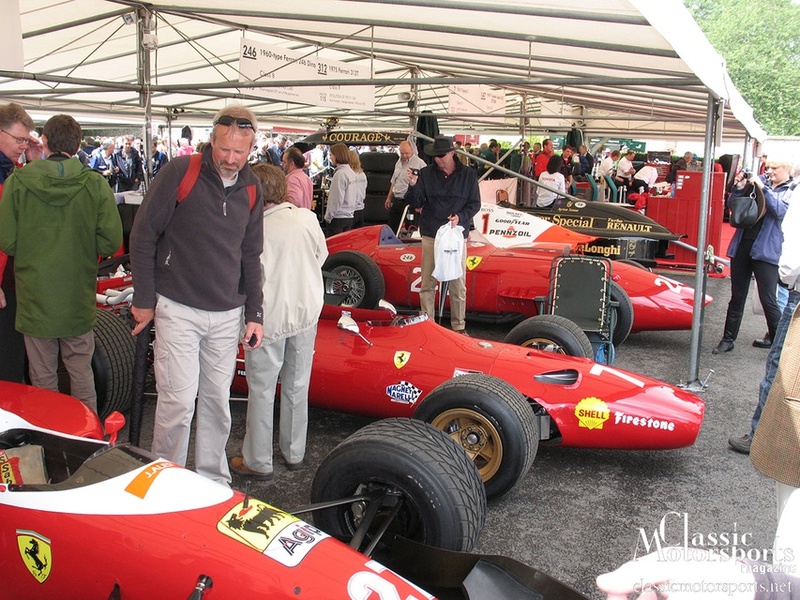 While I have been to the Goodwood Festival of Speed, I have never been to the Goodwood Revival. The Festival is an amazing enough event that anything Goodwood does should be on every car guy’s list. I read an article in one of the English car magazines about a guy who rents classic Alfas and uses them for tours of Italy. Yup, sign me up for that one, too. I got a taste of Italy on a press trip to Monaco a few years ago. I rented a smart roadster with a buddy, and together we toured part of Italy. We took in great scenery, wonderful driving roads and unbelievable food. Yes, I would like some more of that. There are some amazing car museums around this great big world of ours as well. Three standout museums that I have visited in this country are the Petersen, Lane Motor and Henry Ford. In Europe, Mercedes-Benz and Audi have incredible museums—I have been to both—while the Heritage Motor Centre in England is also impressive. I understand that the new Porsche and BMW museums are bucket list-worthy as well. I have seen photos and heard the reports, and it seems like these two German titans did an excellent job. And if you’re going to Europe to check out museums, Ferrari’s also sounds amazing. Speaking of Europe, we visited some stellar collections while leading reader tours through England and Germany. We arranged classic car rentals for all of the participants, and we all had a wonderful time. We put a hiatus on these trips when we got busy with other projects and the economy tanked. However, I am starting to get the itch to do another one, as Europe’s pubs and back roads are too cool to ignore for long. (In fact, let me know if you have any interest in this type of tour; twist my arm, and I’m sure we’d go back for more.) My dreams don’t exclude our two-wheeled friends. I have sold my old Triumph bike and have been blissfully riding a new Triumph Bonneville. That’s the best move I’ve probably ever made. One of our writers, John Webber, just got back from a motorcycle ride from Florida to Alaska. While I’m not sure that’s my thing, what a cool trip. Now that I have my new bike, I’ve been thinking about taking some longer rides. My wife likes it well enough to actually go with me, but I’m not sure she’s ready for an overnight trip. While I have won an award at Amelia Island, I still have never shown a car at Pebble Beach. That’s definitely a bucket list item. There are still cars that I want to own, too, from Boxsters to Giuliettas. There are just so many machines I’ve yet to explore and restore. I can’t be the only one with a bucket list. What’s on yours? If our readers are interested, maybe we’ll tackle that subject ourselves. In the meantime, if you’re out here with us at Monterey, enjoy the visit. This week is definitely a bucket-level weekend, whether you’re there to race (another item on my list), show at one of the prestigious concours, or just hang with your car buddies and have a beer or two.